I’ve made some updates to the French Resources Page on this site. Most of them are speaking resources that allow you to find native speakers with whom to practice. I’ve also added two lists of gender endings that I have used to help me figure out common patterns of gender. The first list is from about.com, the other is hosted here. There’s a good bit of overlap between the two, but also enough differences to make it worth noting both sites. 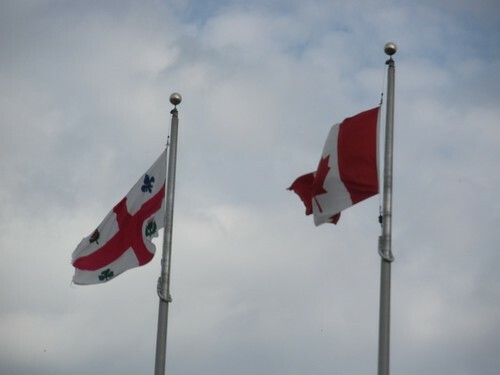 And below is a gratuitous picture of the flags of Montreal and Canada from my last trip.